Midafternoon I was cycling the Victoria Park to Joe Ghiz park and the trail to Winsloe and then th road home. 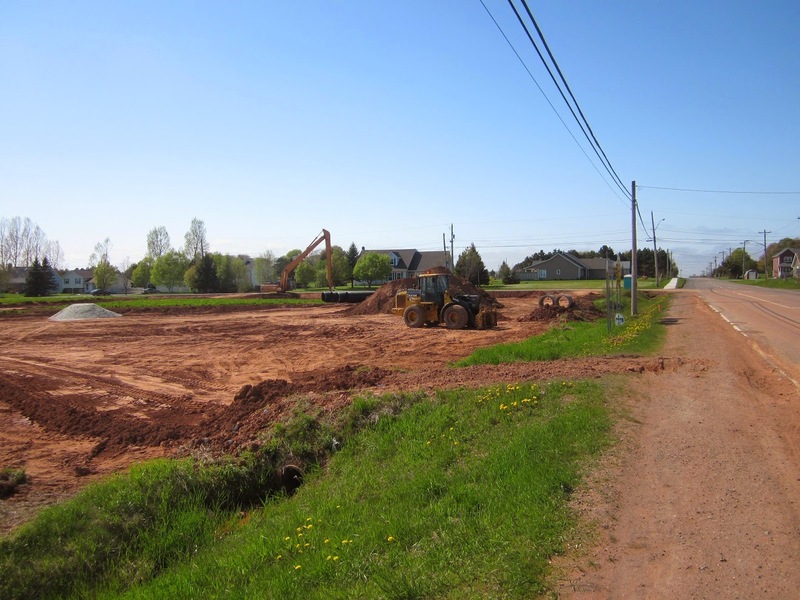 The photo is where on the Upton road the government has started the work of putting a roundabout. 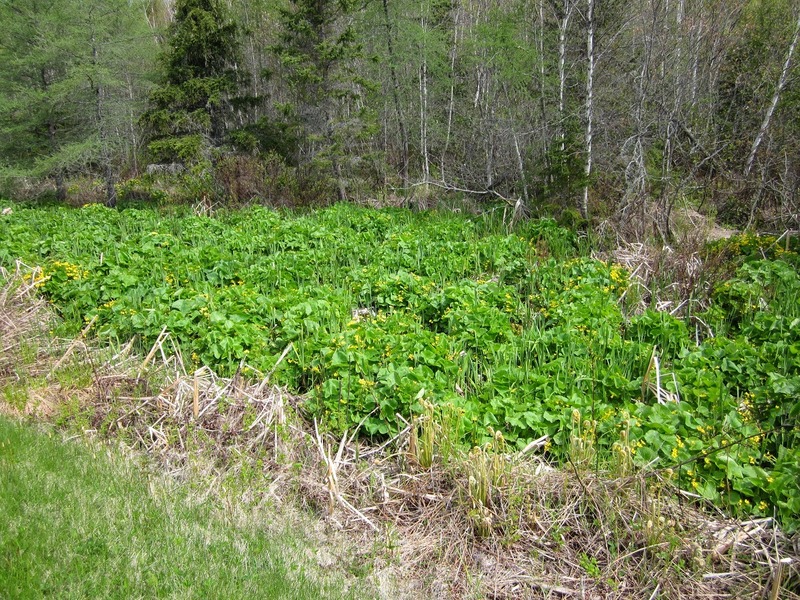 Lot of marsh Marigolds near Mount Stewart. 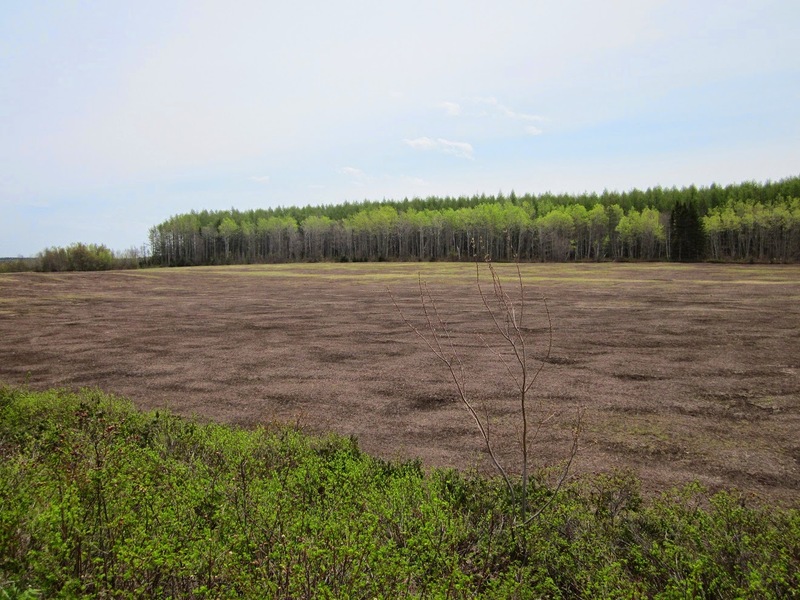 This blueberry field is a couple of km west of Morell. Lots of green on the trees on the far side of the field. This item is on the lawn at the information center in Mount Stewart. 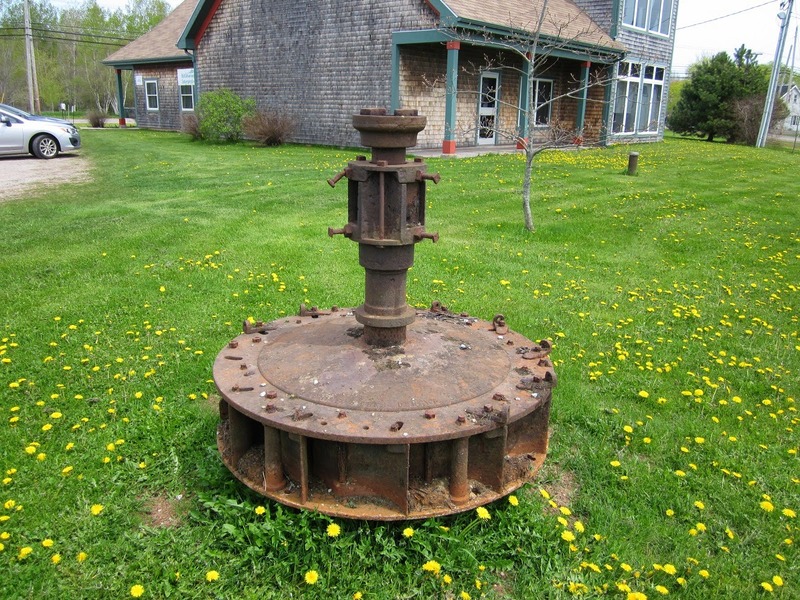 I am guessing that it is a water wheel from a old mill. A sunny day with a high temperature of 22 with a west wind of 20-25 km/h. After cycling I mowed the lawn. 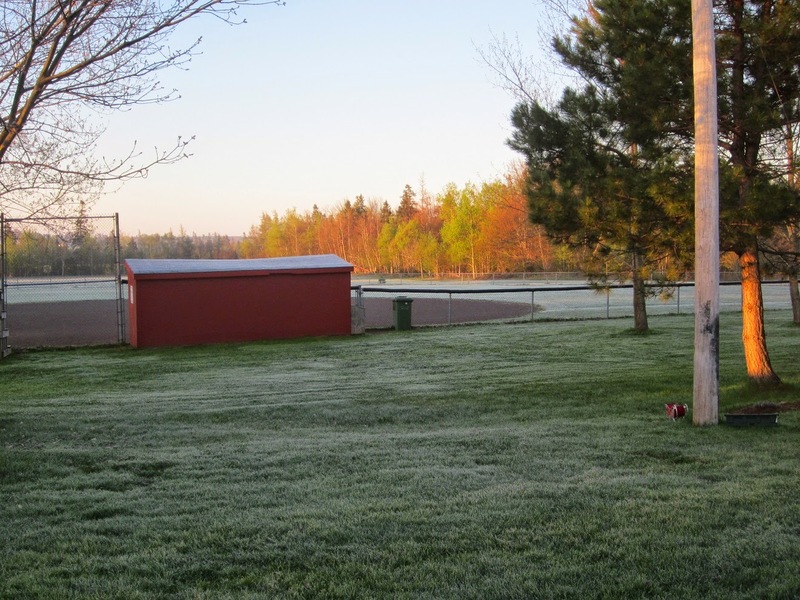 -2 at 6:00AM this morning with sunshine. 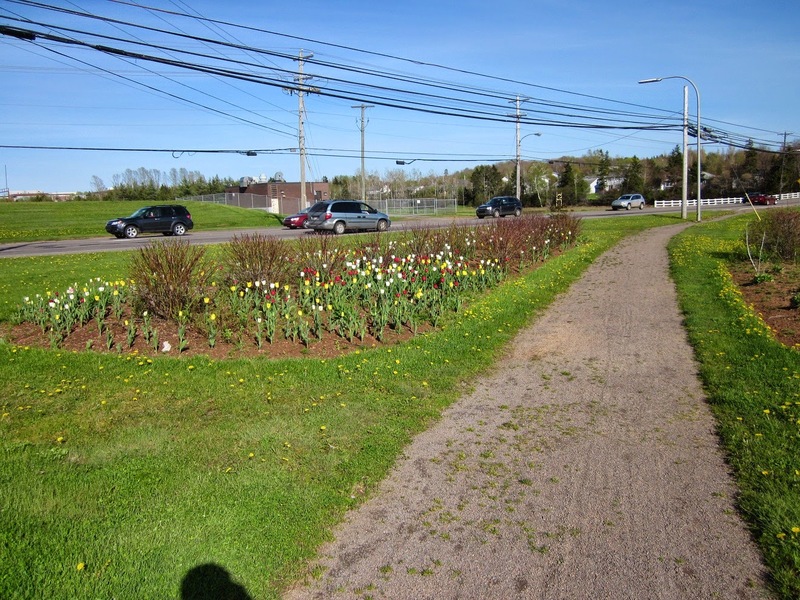 This bed of tulips is along the North River road at Ellen creek. 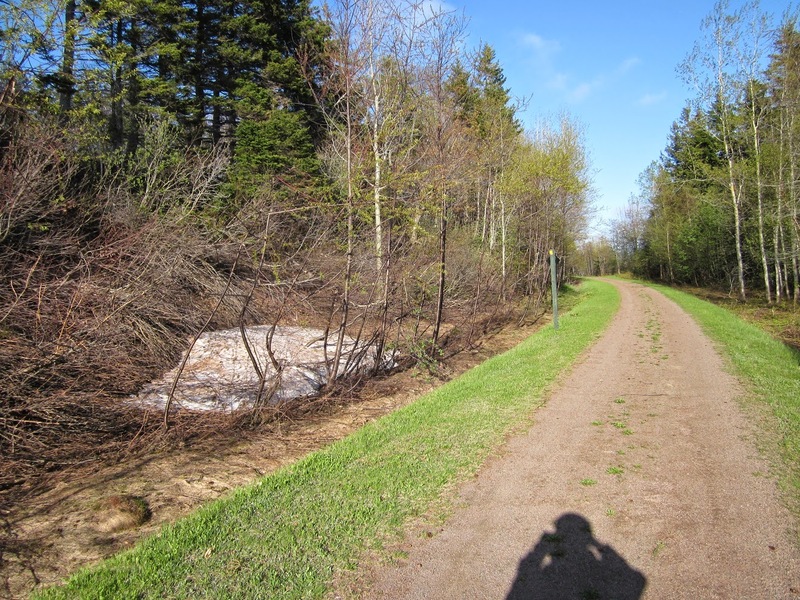 I cycled from home to Victoria Park, then to the trail at Joe Ghiz park, then on the trail Winsloe and then took the road home. 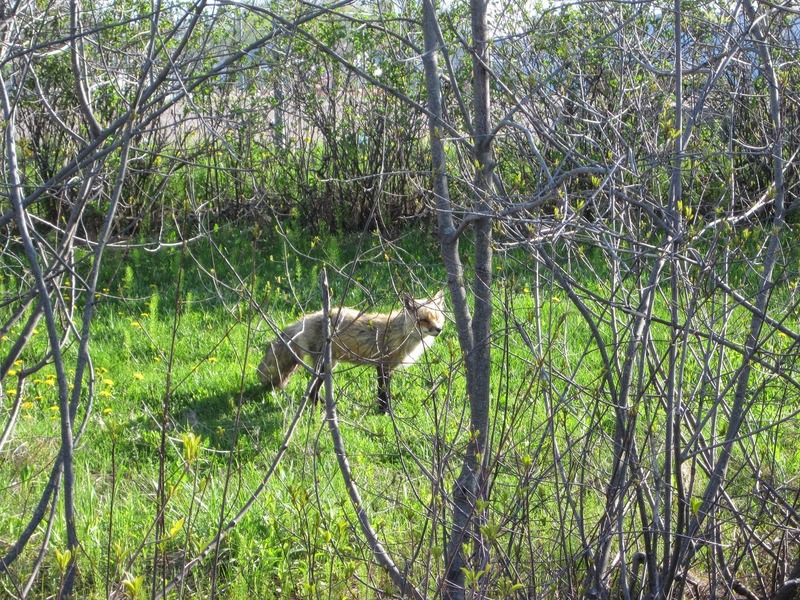 This fox was on the trail but as I got close it just went off the trail until I went by. I was near Allen street when I took the photo. A nice day at 20 with full sun and a light west breeze. I was to the wood lot for a couple hours after lunch. 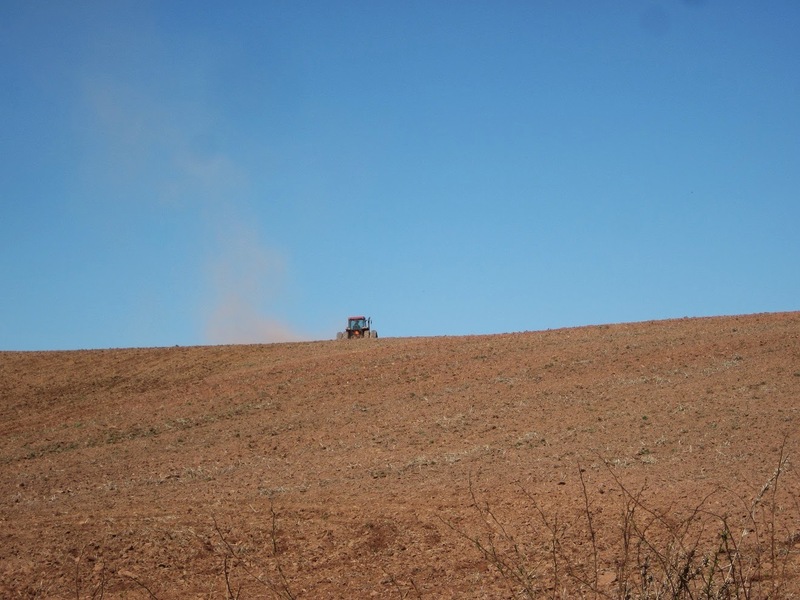 This farm is located in North Wiltshire. The poplar trees are leafing out. This evening I cycled from Milton to Hunter River and back to Milton. It was sunny but cool a bit of a north wind with a temperature of 6. This snow drift is in North Wiltshire, hard to believe it is May 28. After lunch I was to the ballfield woods and move another plank 70 meters. 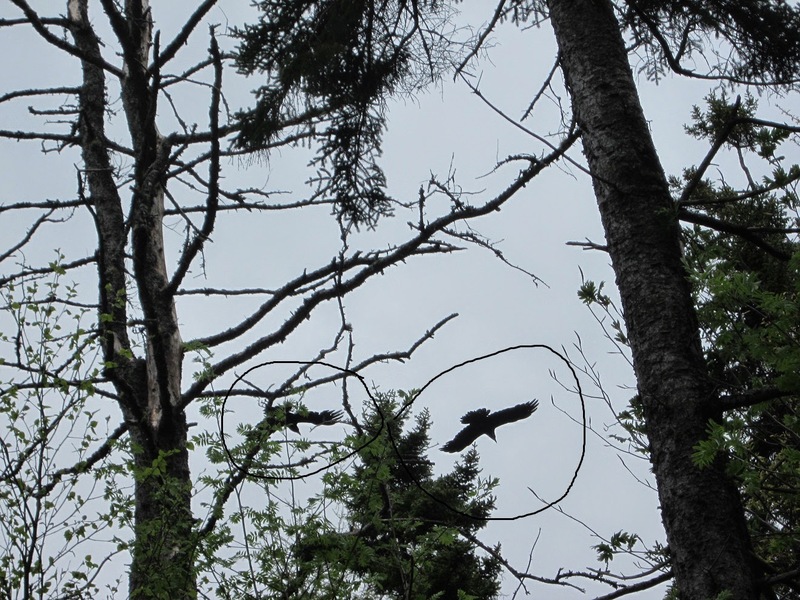 The crows were making lots of noise. 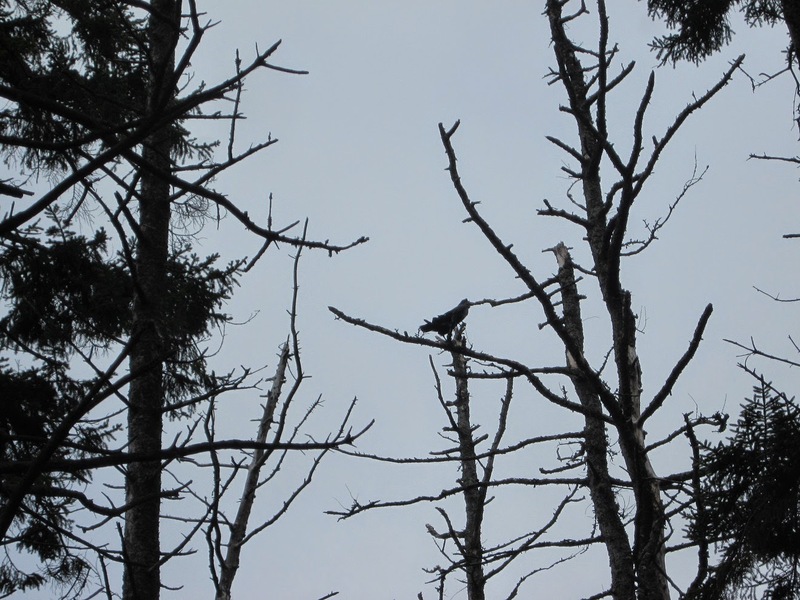 I didn't realize there was two on the tree til they flew away. I am thinking there must be young one close by. Overcast most of the day with a little rain in the morning. The temperature high was only 8. 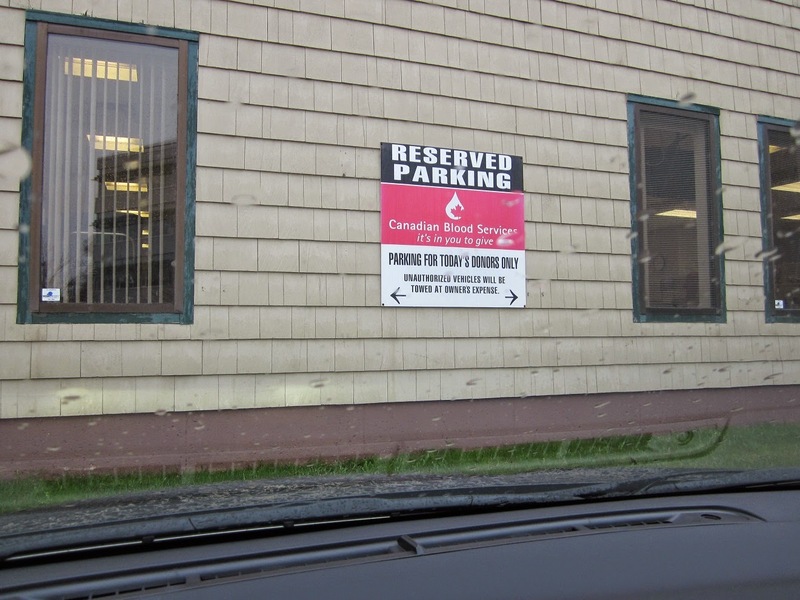 I donated plasma today. It rain all day, heavy at times around noon. Over night temp was only 3, high for the day was 7. 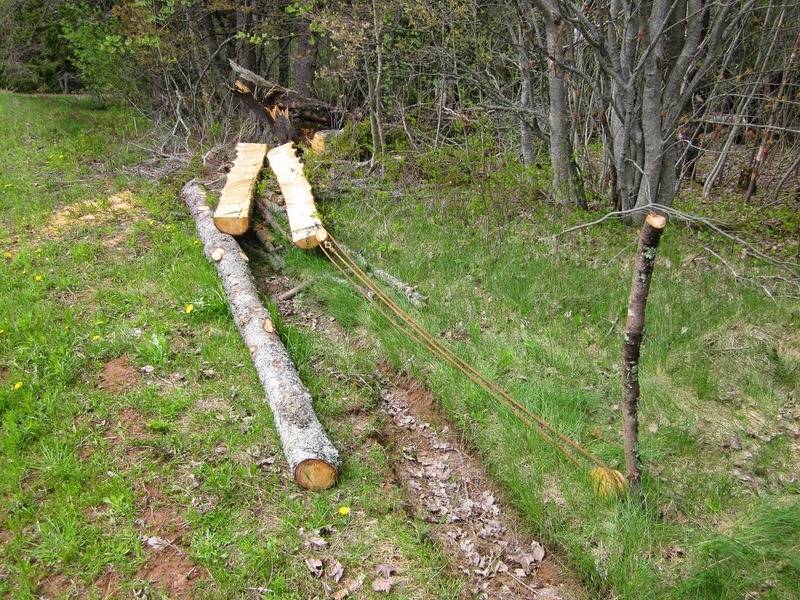 After lunch I took a walk to the woods with a set of rope blocks, with the aid of the blocks I was able to move the half log about 70 meters. Later I went cycling, I cycled to the mall, then took the trail to York, then back to Winsloe and on to home by the road. 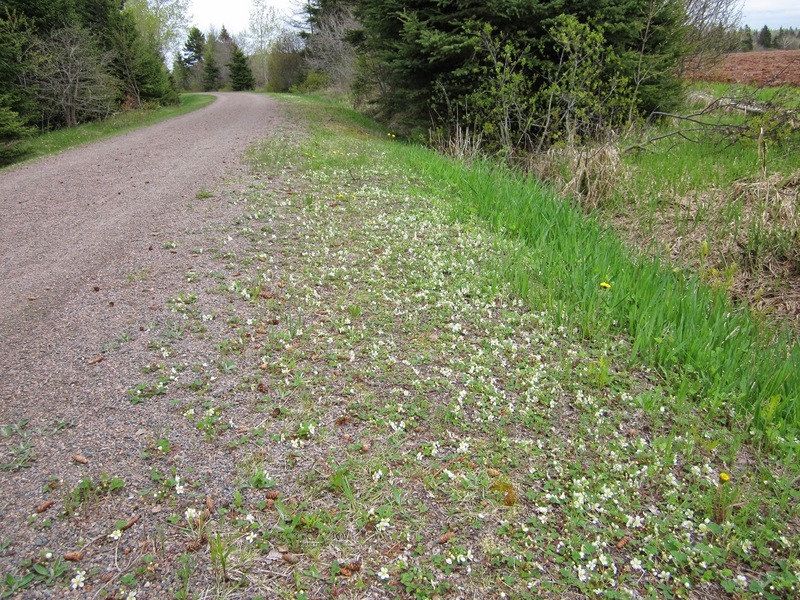 lots of strawberry blossoms on the side of the trail near the Union road. 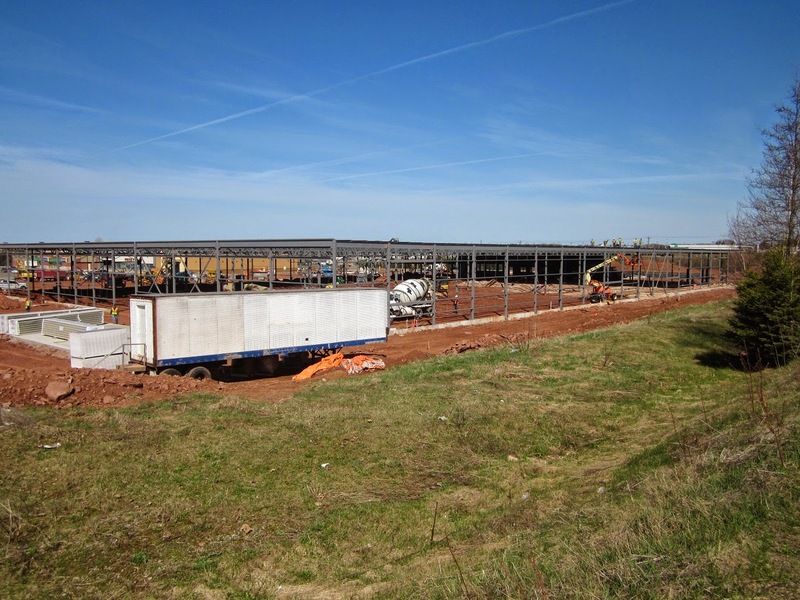 There were some sunny breaks with a temp of 8. 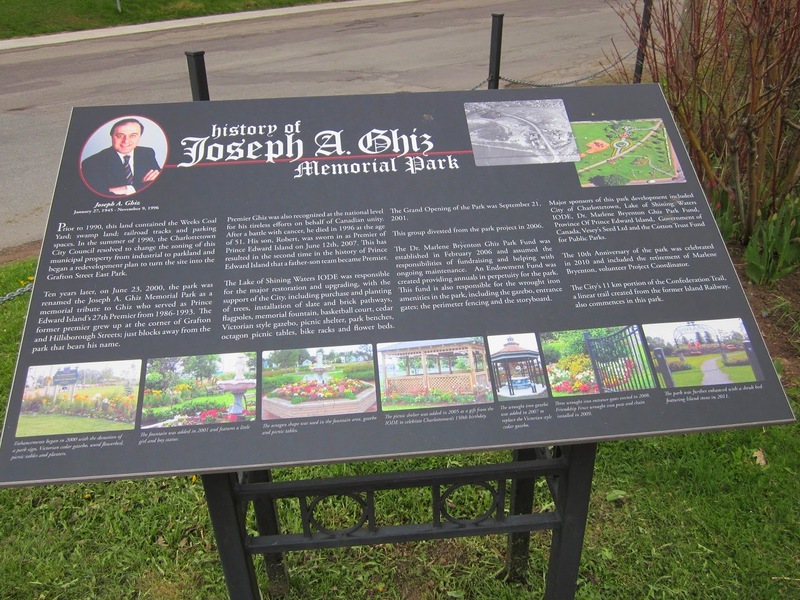 I cycled around Victoria park then to the start of the trail at the Joe Ghiz park. It was windy, see the flags. It was cool too, the temperature was in the 6-7 area. 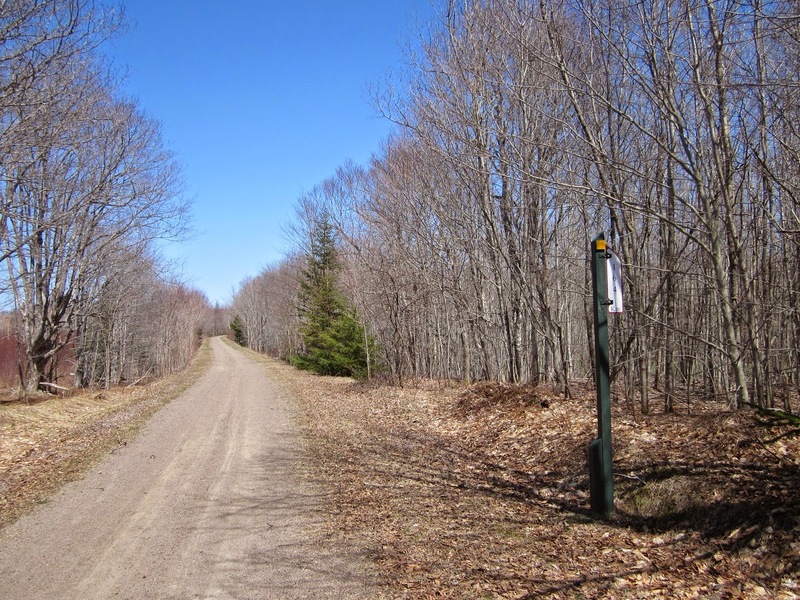 I cycled to Royalty Junction, then to Winsloe on the trail, then took the road home logging 34 km. 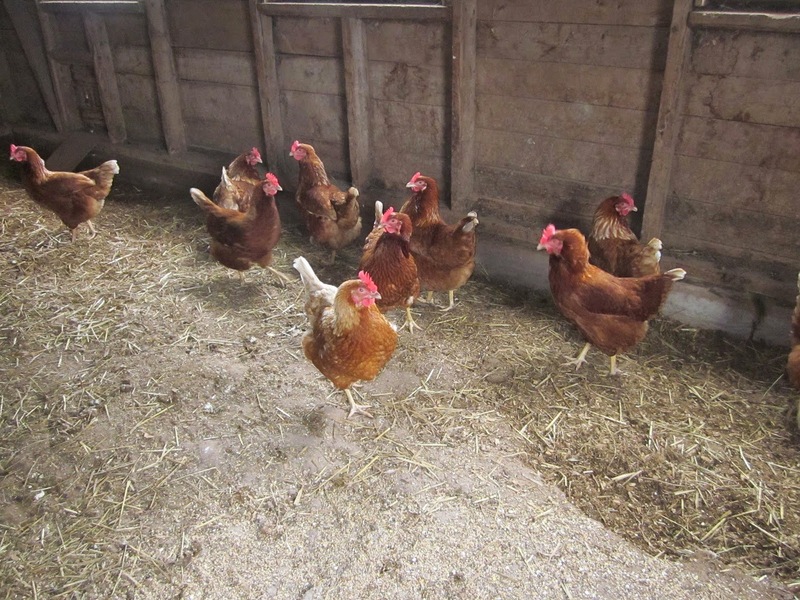 Seems like that brown chickens have brown eggs. We had a drizzly rain all day with a cool temperature of 8 and some wind as well. The local weather person stated that there was a wind chill of -1. No cycling today. It was a rainy day with the temp around 9. 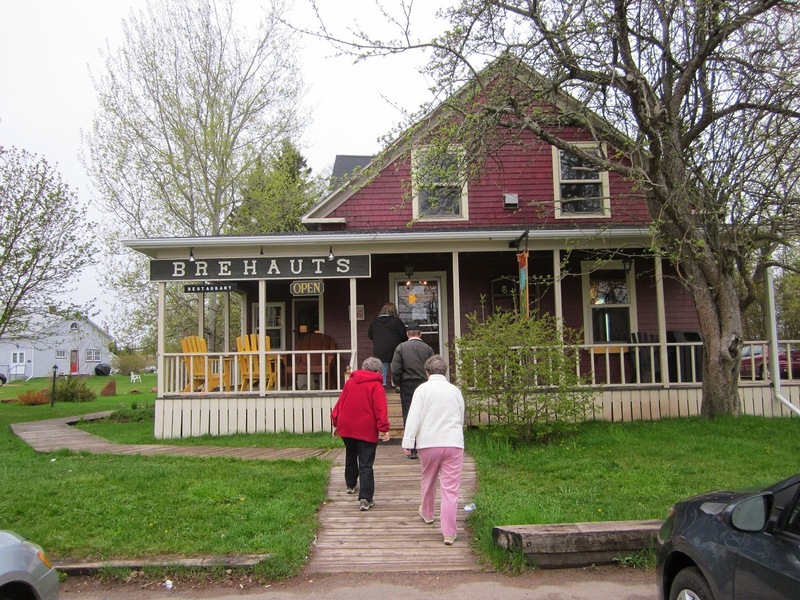 We were to Montague visiting family and then to Brehaut's in Murray Harbour for supper. 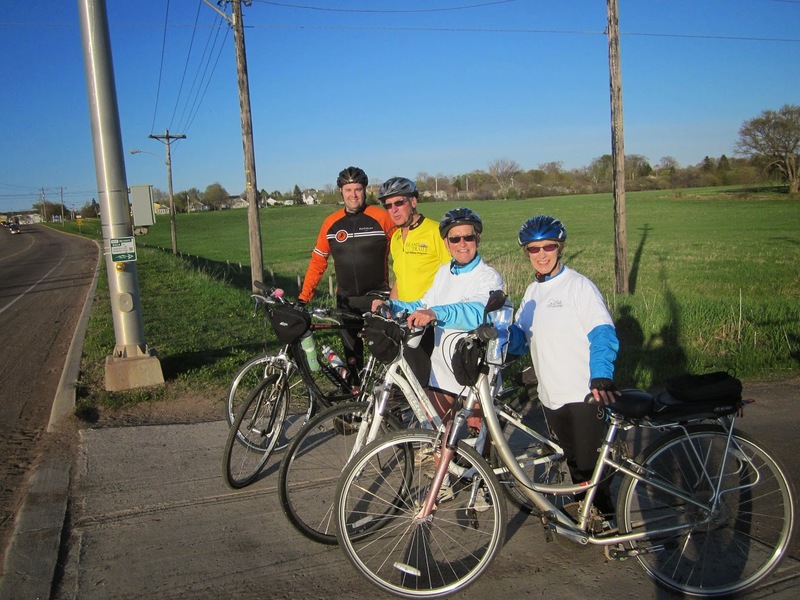 There were six of us that took part in the Ride of Silence. 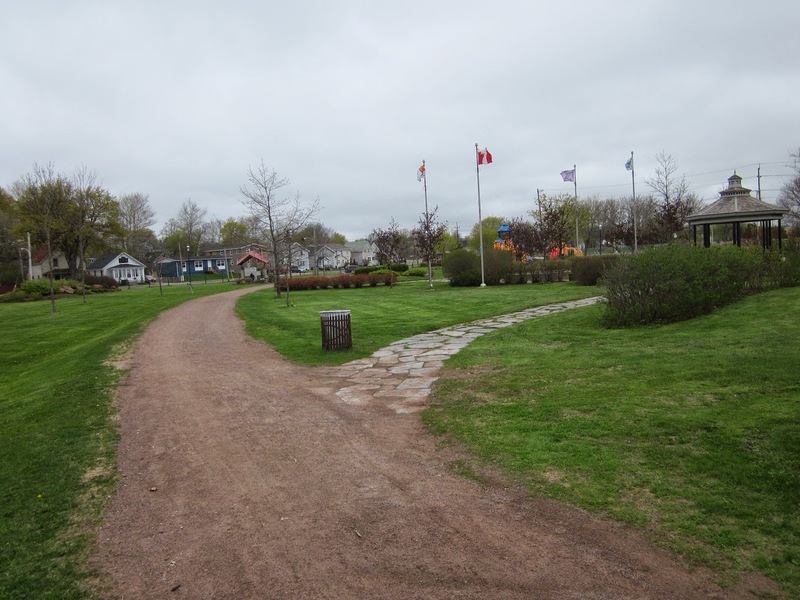 We started at Kent st and rode though the Victoria Park and Belvedere Ave. to the Confederation Trail. I then took the trail to Winsloe and the road home from Winsloe. It was mostly sunny with a high of 18 but was cooling off by the time I got home. 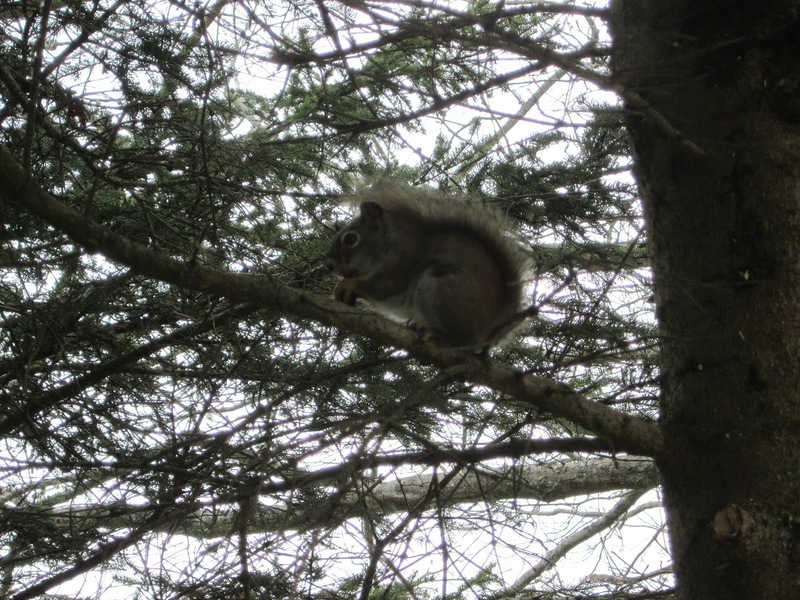 I was doing some yard work this afternoon when this squirrel stopped by. There eight cyclists for the Sherwood road ride this evening. We cycled to Suffolk and back, there was light rain at times. 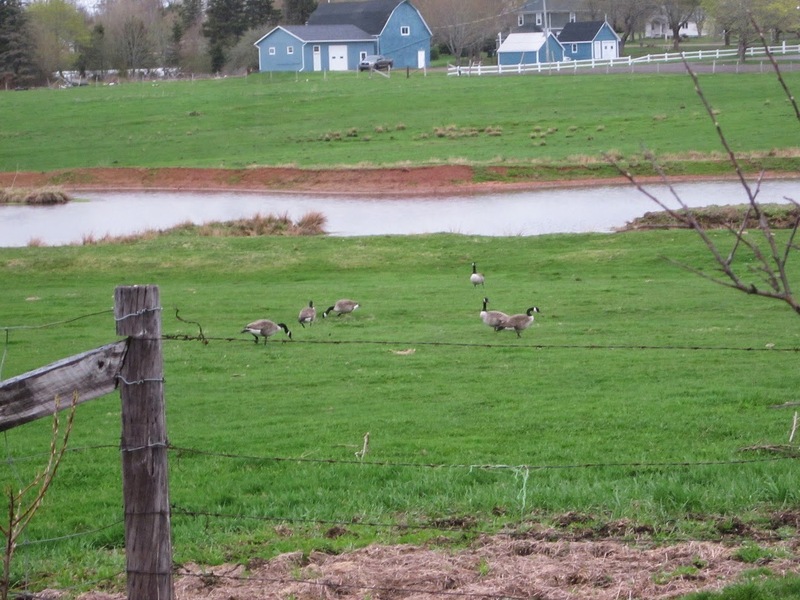 These geese were by the pond in York. 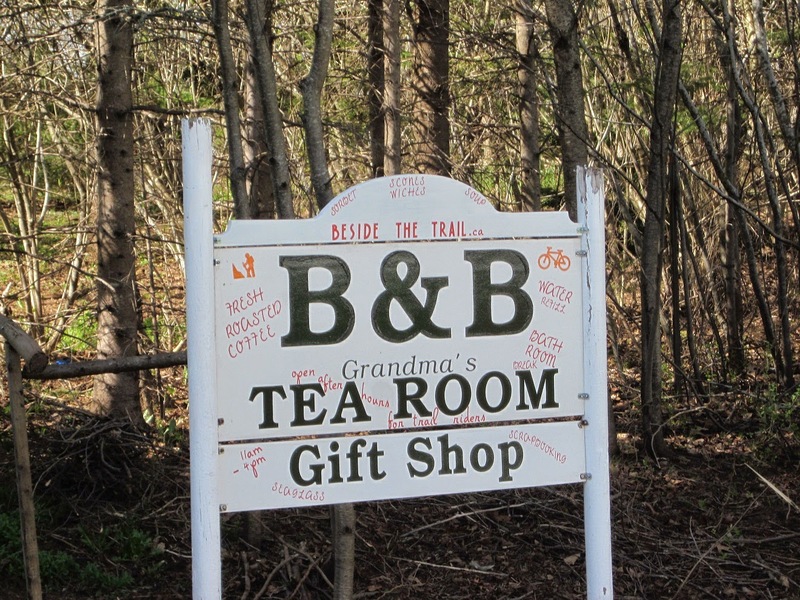 I was cycling this morning, I see the Tea Room in Winsloe is now open for the season. 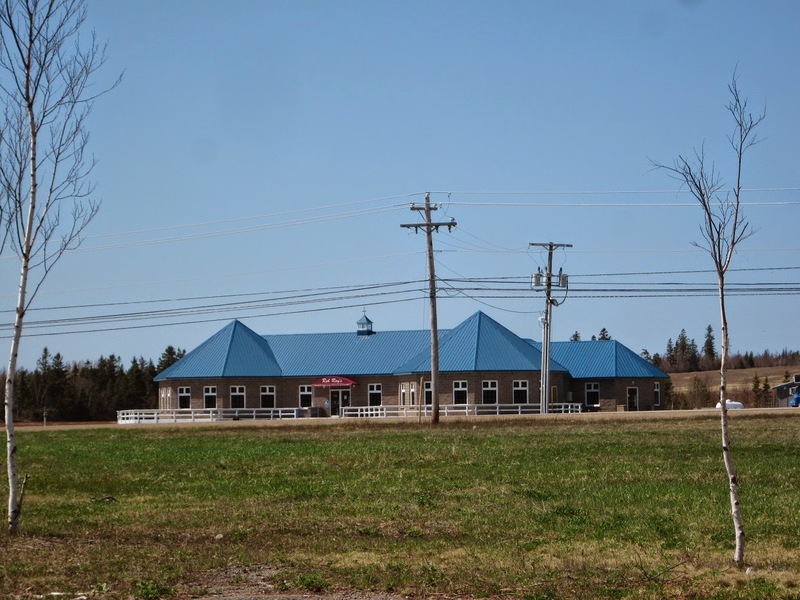 I cycled the trail from Winsloe to Grafton street, then across town to Victoria Park then out the North River road. 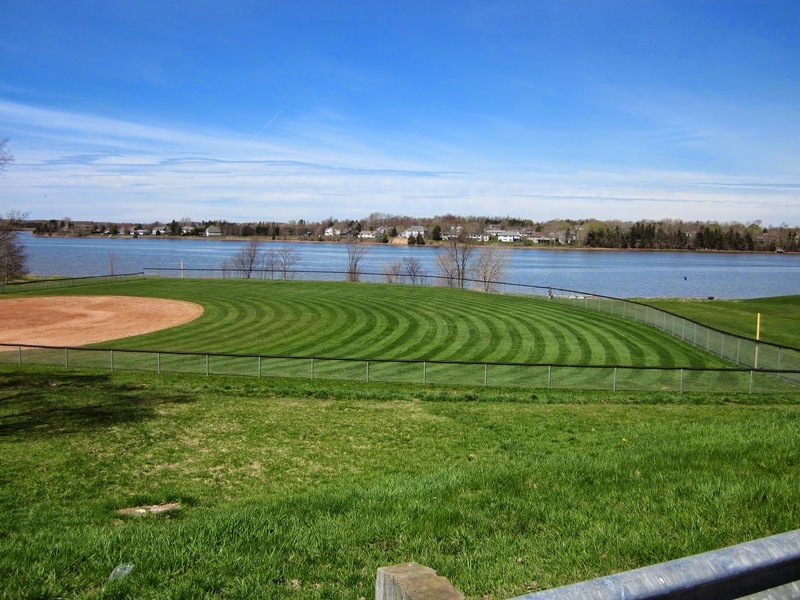 easy to see that the grass on the ball field outfield has being mowed. Mostly sunny at 18 with a light wind. 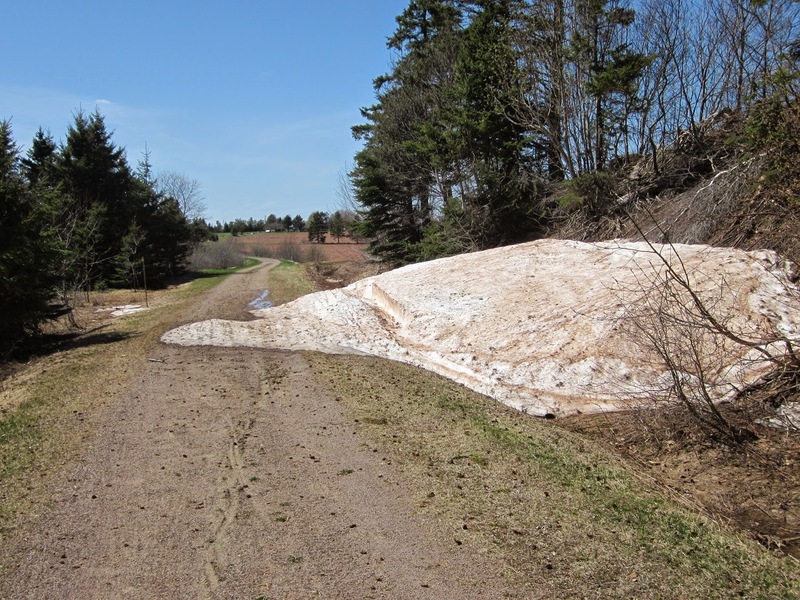 Today I cycled from Hampshire to Fredericton on the trail, this snow drift was in North Wiltshire. 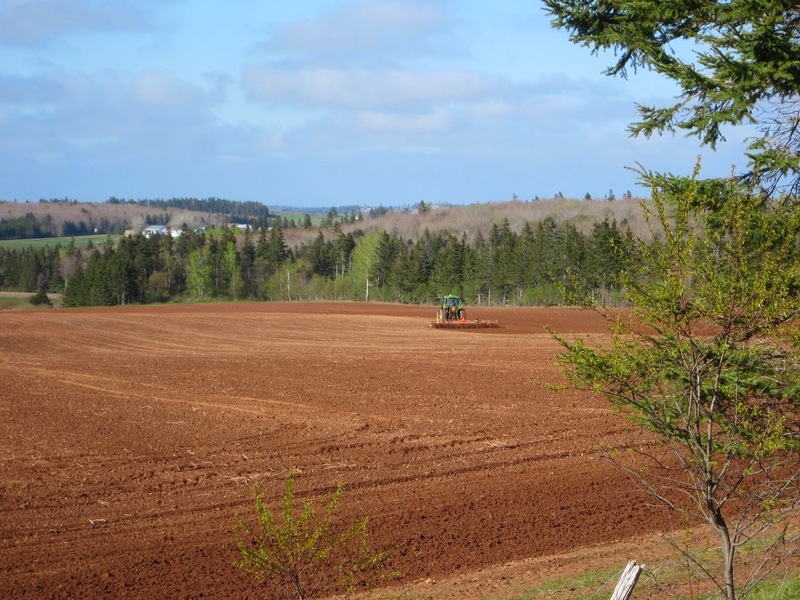 This farmer was west on Hunter River, seems like it was only a couple of days ago the fields were too wet but from the dust cloud it is dry now. I planter some of my garden in the morning. A nice day with a high around 24. 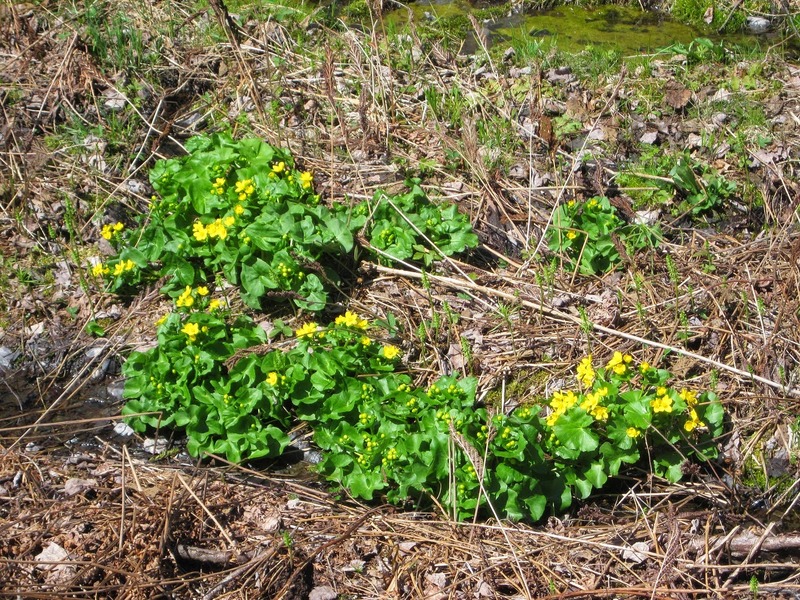 I saw these marsh Marigolds in Tracadie Cross. I drove to York and started cycling on the trail in York and cycled east to Rob Roy,s in Scotchfort. It was a nice day at 25 with a light wind. I saw 8-10 other cyclists on the trail. 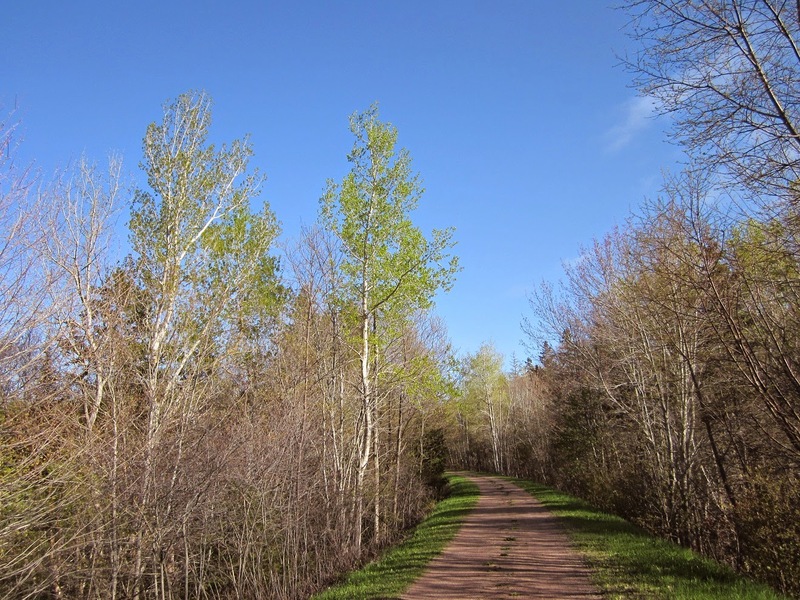 The green snake was on the trail just east of Tracadie Cross. 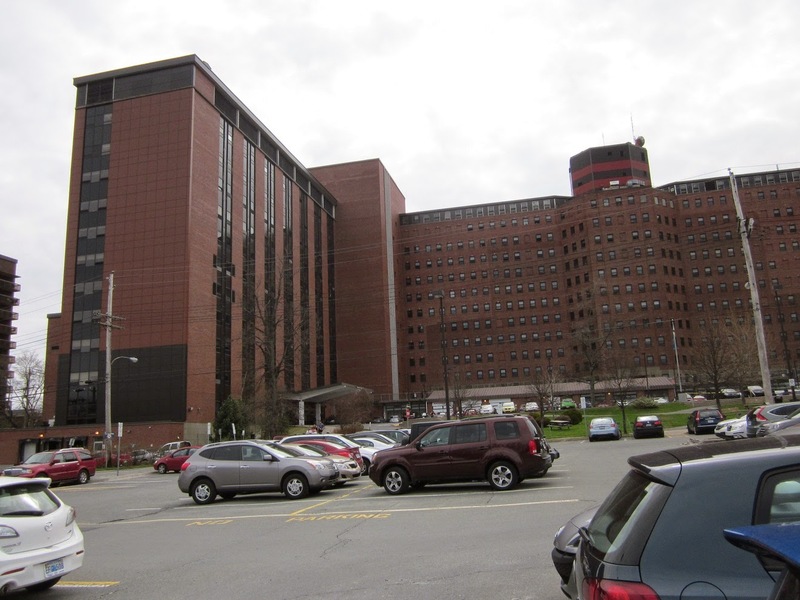 I spent the day in Halifax at the VG visiting my niece. A nice day, mostly sunny at 20. I was cycling this morning, this is the Canadian Tire building the is under construction. 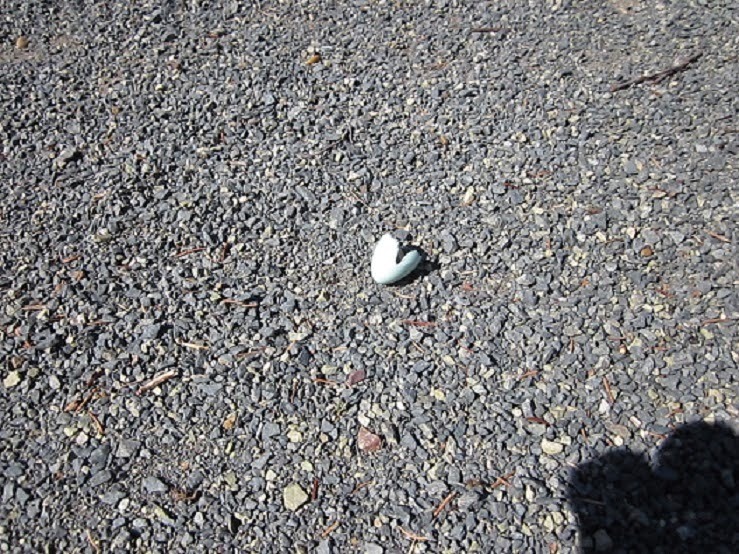 The robin chicks must be hatching as this egg shell was on the trail. Late afternoon my neighbor came over and said is tiller was out if I wanted to use it, so 30 minutes the garden is tilled. Now to get some seeds. The temperature was up to 18 with a light wind. 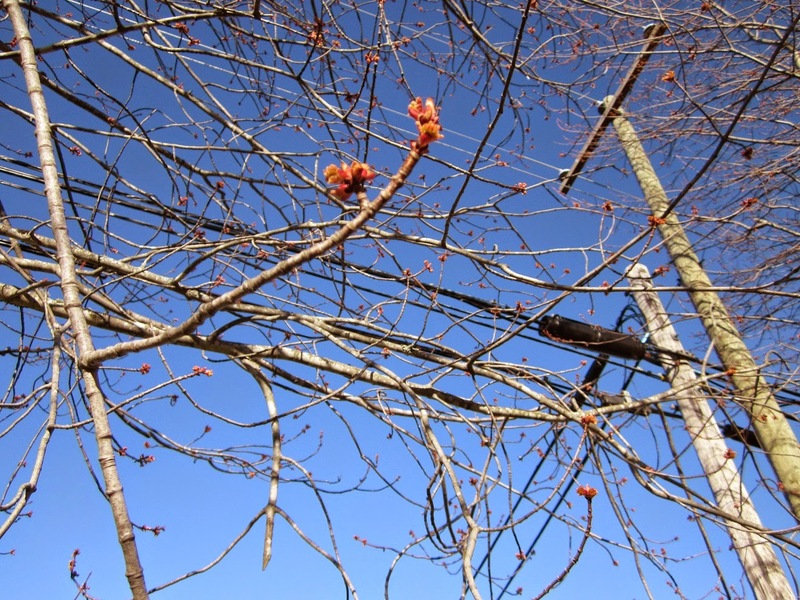 The maple trees are budding out. 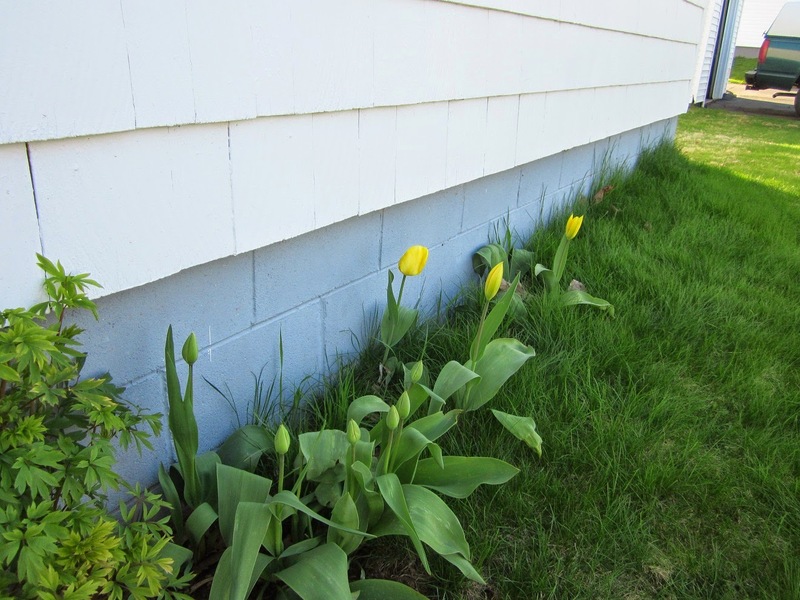 The tulips are budding as well with three that have opened. Mostly sunny with a high of 9. I donated plasma today right after lunch, they missed the vein on the first try, so had to go to the other arm. So no cycling again today. 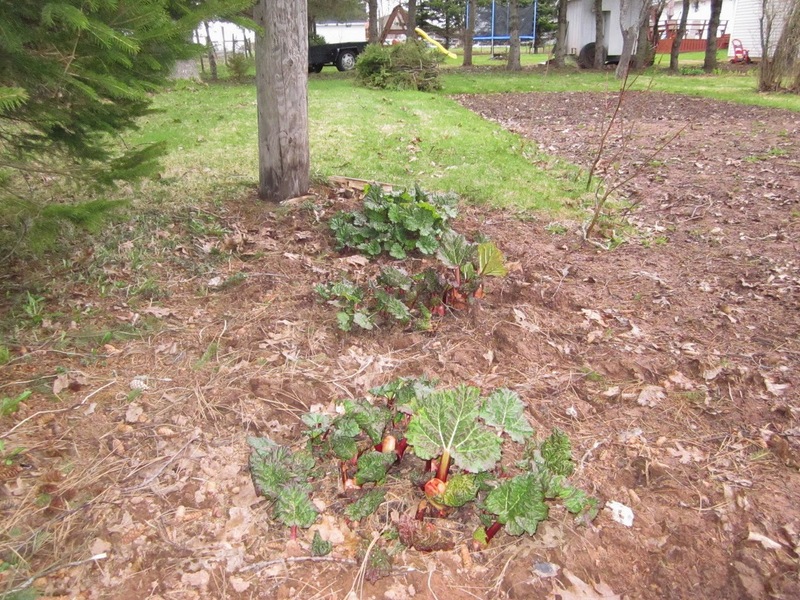 The rhubarb patch is looking good. 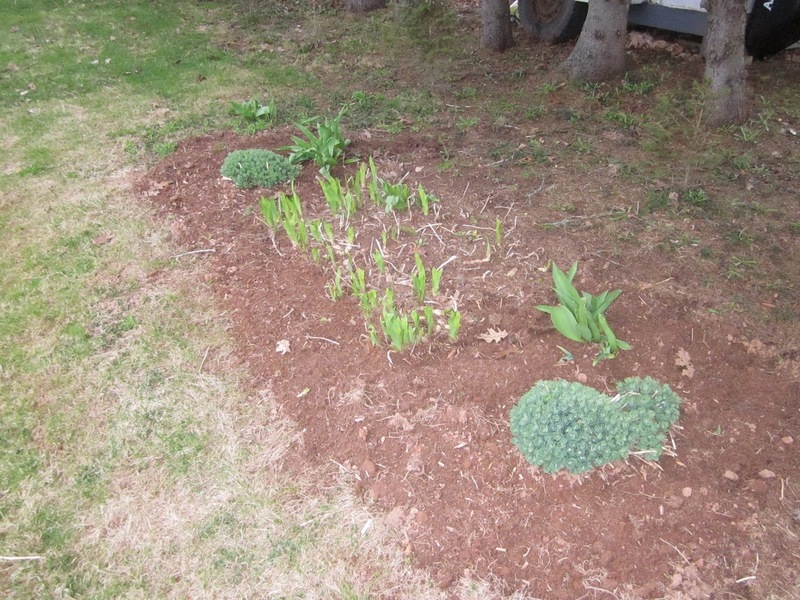 The perennial flower bed is looking good with tulips, iris and sedum. 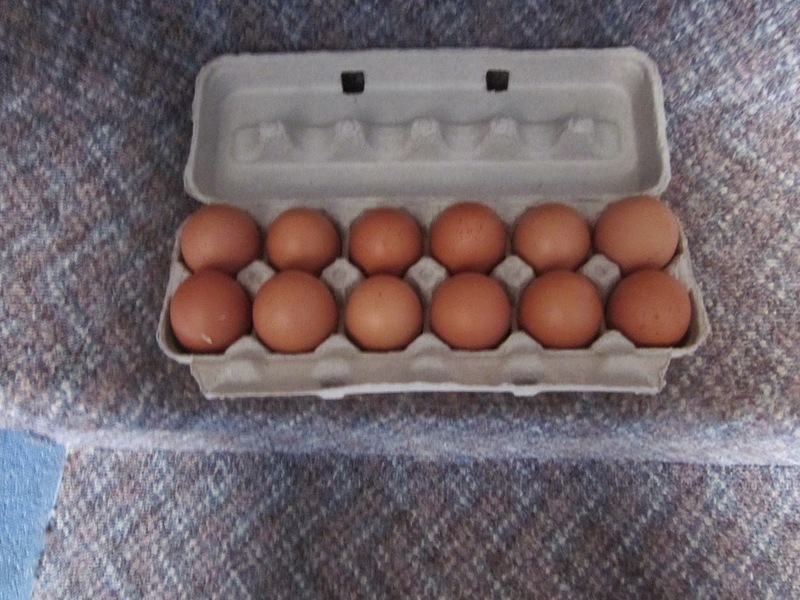 I visited neighbors at the chicken barn in the morning. I then was to the plasma center but after screening all done it was decided paper work not in order was send and to come back tomorrow. 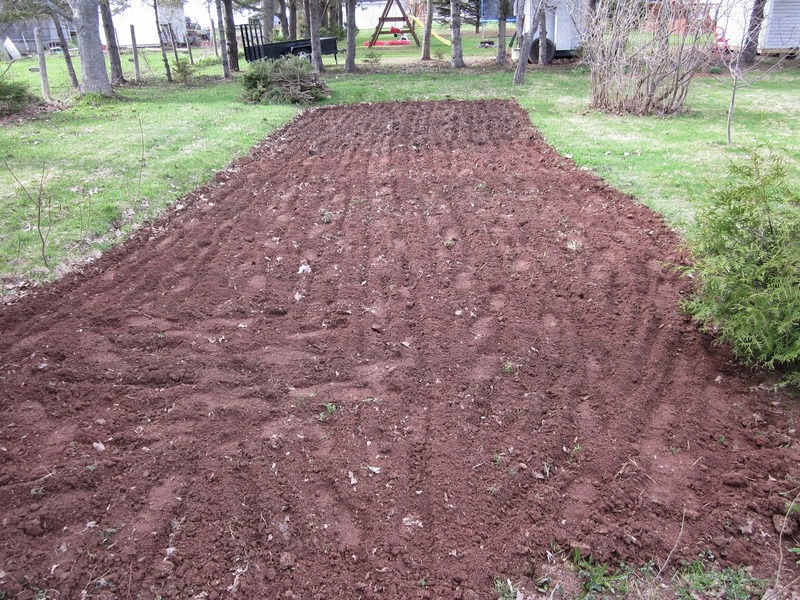 I put the snow blower away for the summer and got the lawn mower ready. 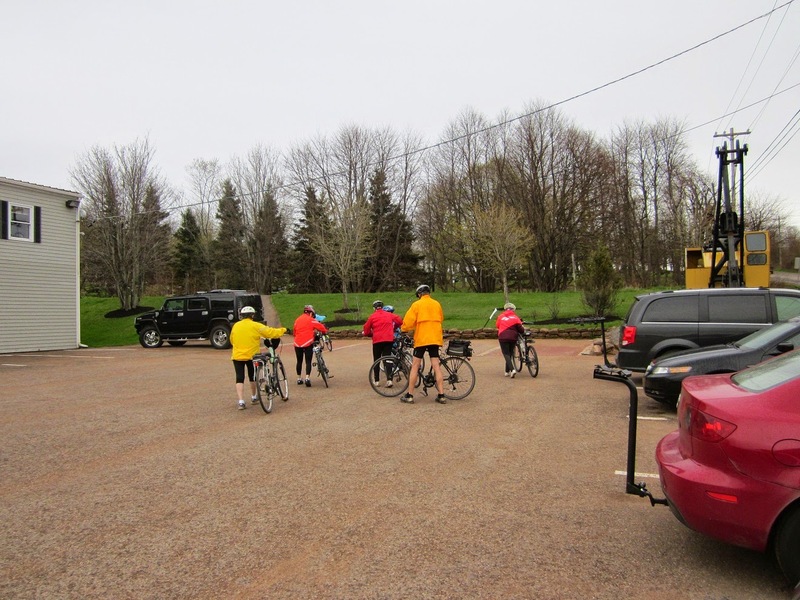 I was planing to cycled with the Monday evening ride but when I got to Sherwood the rain started, there were six showed up but we decided not to go. The high temperature for the day was 8 but at 6:00 when the rain started it was down to 2. 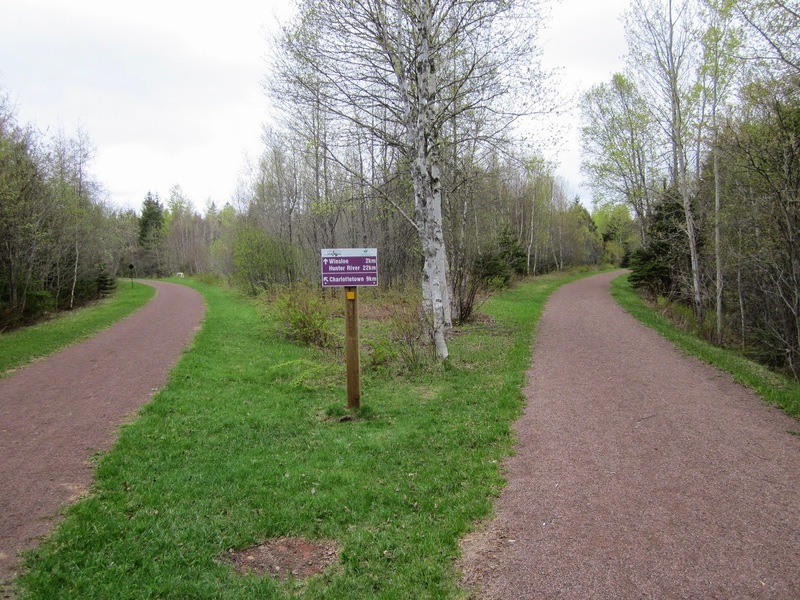 After lunch I cycled in to Charlottetown And took the trail to Winsloe and the road home. 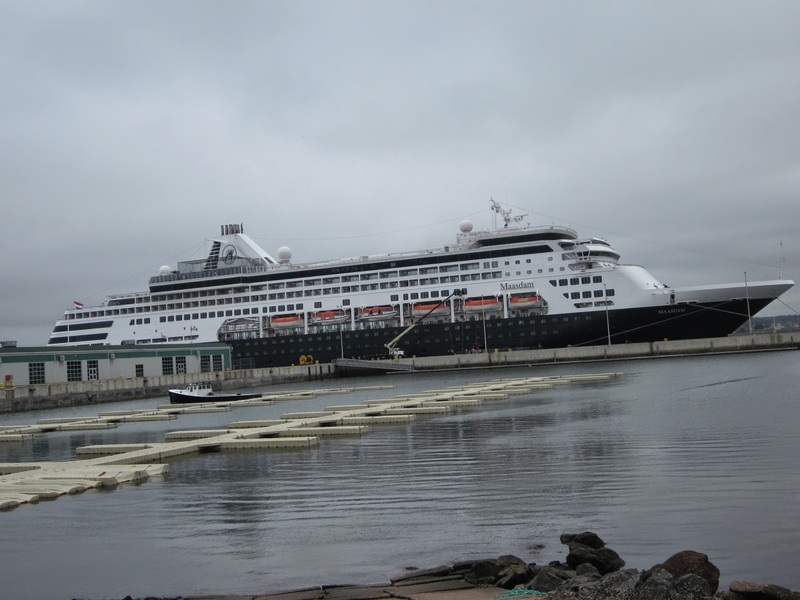 The cruise ship Maasdam was docked at the waterfront. At noon the temperature was 16 and by 4:00 PM it was down to 4. 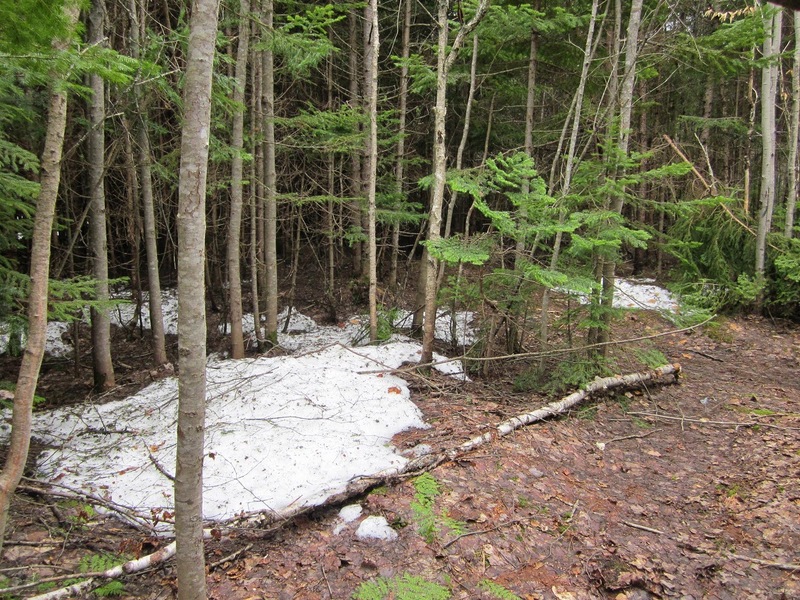 Later in the afternoon I took a short walk in the local woods, still some snow in places. It rained most of the day on Saturday so I had no photos to post. I was cycling in the afternoon, I started on the trail at the mall and cycled west to marker 164 in Hampshire. 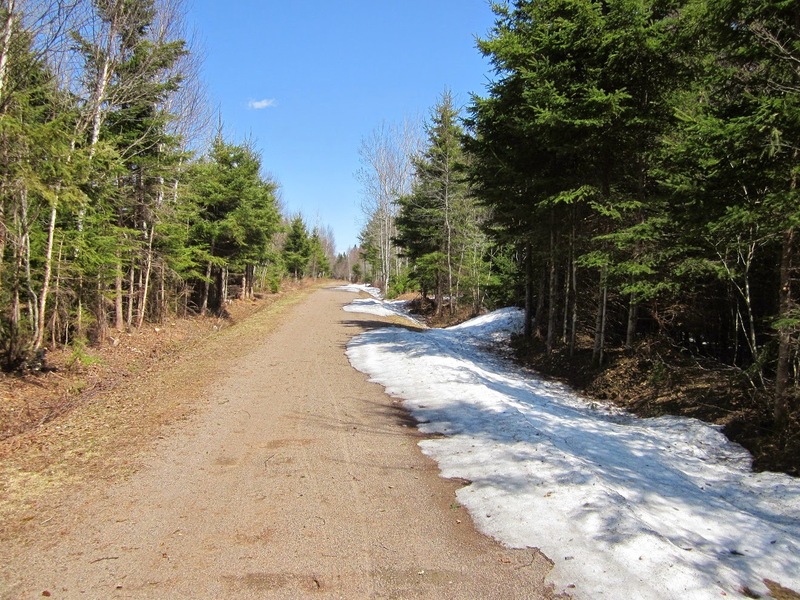 The trail is in good condition but snow on the side in some places, this snow was just west of the Loyalist road. 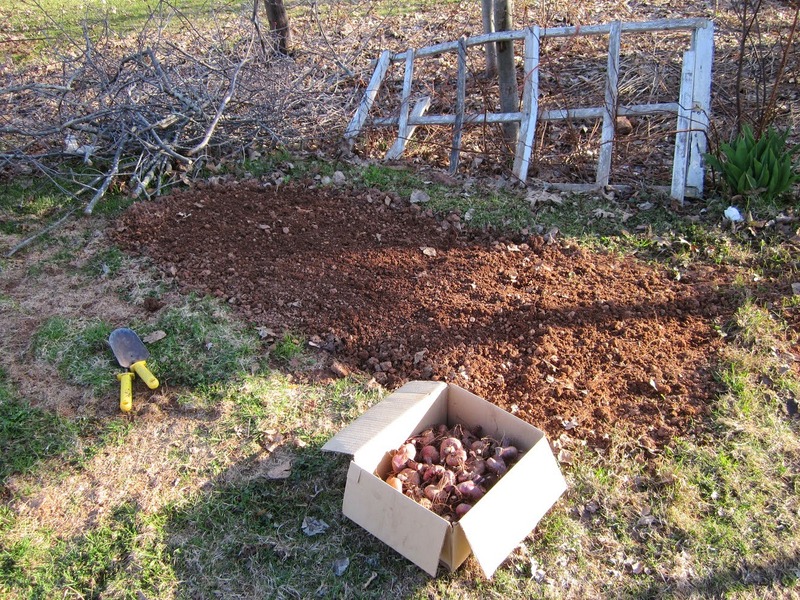 I decided that it is time to plant the Gladiolas, I had 50 plus bulbs in the box and planted all of them. 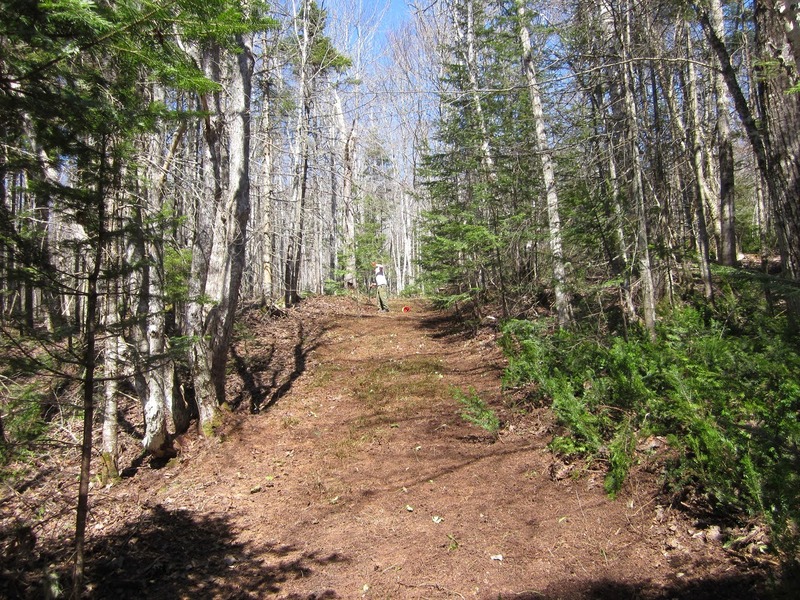 I spend the afternoon at the Bonshaw park helping get the trail ready for the Royal visit. 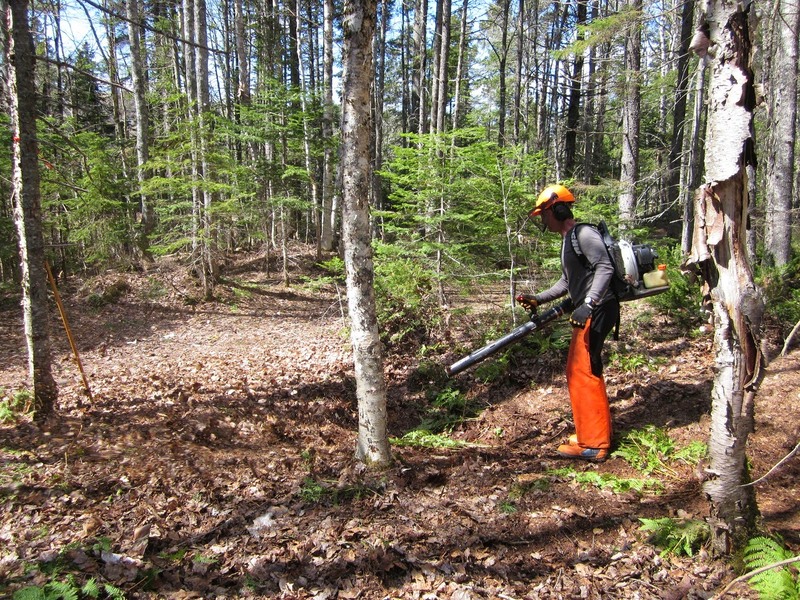 I was using a rake to get the leaves on the trail. My buddy had more power with the leaf blower. 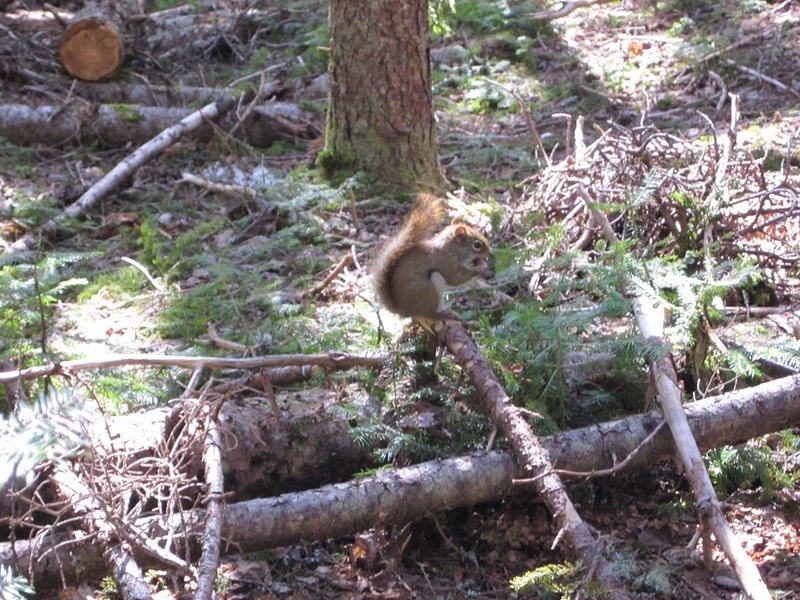 This squirrel was busy eating spruce cones and not paying any attention to us. 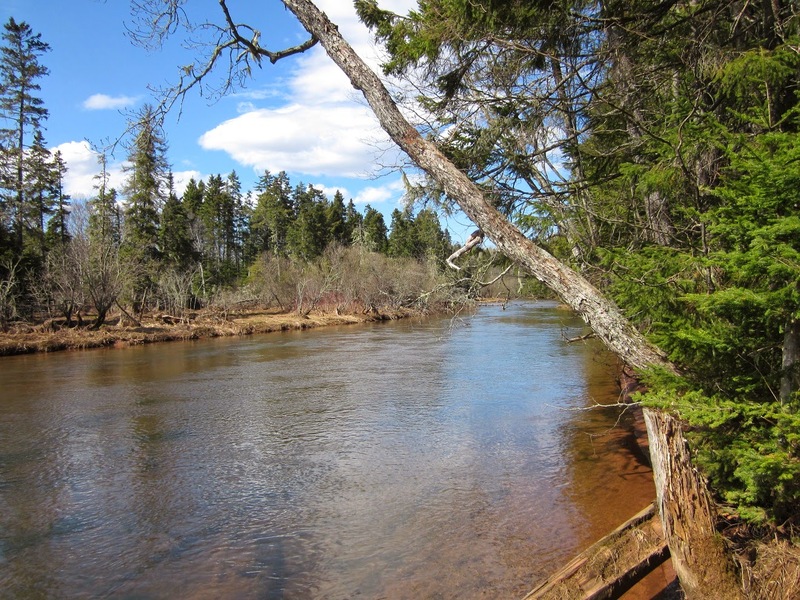 The trail goes very close to the Bonshaw river. A nice day with a high of 16.